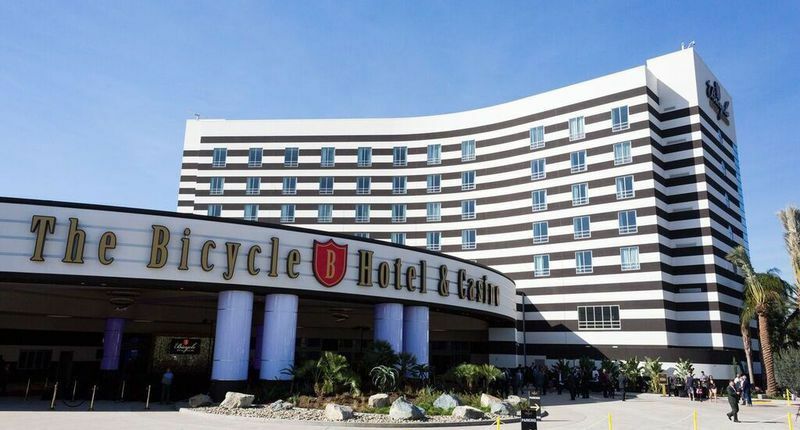 This summer, while the sharks feed in the pro-infested waters of Las Vegas, the Bicycle Hotel & Casino in Los Angeles will keep the action going with the first of two stops on the Card Player Poker Tour. Despite the poker world’s focus on the desert, The Bike is going big by putting up $565,000 in guarantees for the five-event series. The series kicks off July 1 with a $60/$90/$115 Quantum Reload no-limit hold’em tournament with a $40,000 guarantee. The schedule continues with a $130 no-limit hold’em survivor tournament later that day. During July 2-6, the casino will host starting flights for a $100,000 guaranteed no-limit hold’em event with a buy-in of just $150. Players who survive day 1 will combine for day 2 on July 7. Players can also buy-in directly to day 2 for $1,100. Also on July 7, there will be a $100 no-limit hold’em deepstack tournament with a $25,000 guarantee. The highlight of the tournament line-up is the $245 buy-in quantum reload main event with a $400,000 guarantee. There are starting flights scheduled for July 8-12, with players receiving 20,000 in starting chips. Players can also buy-in before the start of day 2 and receive 130,000 in chips, as long as they put up the bigger $1,750 buy-in. On July 12, the Bike will host a $200 mega satellite, guaranteeing five $1,750 seats into day 2, which is July 13.